From wind turbines, solar collectors and other renewable energy sources, North Carolina is greening up the way it generates power. Legislation passed in 2007 states that 12.5% of North Carolina power sales must come from renewable sources by the year 2021. We hear an update on renewable energy projects in North Carolina. On September 17th, another hurdle was cleared in the effort to develop wind farms off the North Carolina coast. The Bureau of Ocean Energy Management completed its environmental review for three wind energy areas. The next step is making these areas available for leasing for site characterization and site assessment activities. While North Carolina is just starting to explore offshore wind potential, we’re leading the way when it comes to solar power. The state ranks fourth in the nation in installed solar capacity. And according to the Solar Energy Industries Association, North Carolina has more solar capacity than all the other Southeast states combined. When companies seek to build a solar facility in North Carolina, most turn to the eastern region, according to spokesman for Duke Energy Randy Wheeless. Duke Energy, the largest solar energy company in the state, has more than 20 projects in North Carolina. One of the largest solar power project east of the Mississippi is currently under construction in Edgecombe County. Duke Energy Renewables, part of Duke Energy's Commercial Portfolio is building the 80 MW Conetoe site, which is expected to be finished in December. In Duplin County, Duke Energy's 65 megawatt Warsaw Solar facility is under construction on 500 acres on Penny Branch Road. Warsaw Town Manager Shawn Condon says the project has created local jobs and economic benefit in the area. "A small town such as Warsaw, you know it’s exciting for a town our size to be involved in a project of this size especially with the 21st century technology such as solar power and we’re happy that it puts us on the map so far as being an eco-friendly town and also expanding and hopefully attracting other companies that are interested in and have that commitment and dedication to clean energy and renewable energy." The Warsaw solar facility being built right now will be finished in a couple of months. Another large scale project in Wilson County is slated to go online by the end of this year. The 40 mega-watt Elm City solar facility will include 520,000 panels on 450 acres on Haynes Road. 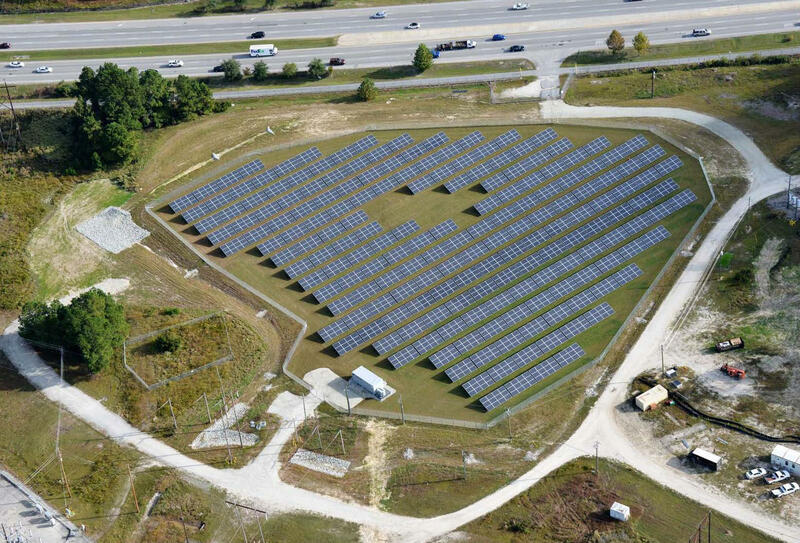 And Duke Energy broke ground this summer on a solar project at a military base in eastern North Carolina. As promising as solar power is for eastern North Carolina, there are also downsides. Solar panels only work when it’s sunny, materials are expensive, it takes a lot of space, and solar doesn’t match the output of conventional power stations. However, Wheeless says technology is improving and the cost of materials is going down. Moving forward, solar energy has a promising future in eastern North Carolina. Local researchers embarked on a 10-day mission off the coast of North Carolina to map the ocean floor. The new data may reveal areas where offshore wind energy development could occur with minimal impacts to sensitive fish habitats and ocean resources.